Garmin and Apollo, 1425 TTSN 460 SMOH (2012), Fresh Van Bortel Annual, $187,000 would consider trade of older Cessna 172, 182, Bonanza Airframe: 1425 Total TIme Since New Engine(s): 460 Since Major Overhaul, Triad June 2002......more. 973 Total Time Since New Don't miss the chance to own this aircraft. 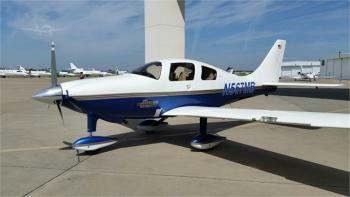 Click here for more details..
Low Time 2007 Cessna 400 SL with G1000, GFC700, GTX345R (ADS-B in and out) Air Conditioned! Ceramic Coating freshly applied! Non-moving damage history. Call for details. 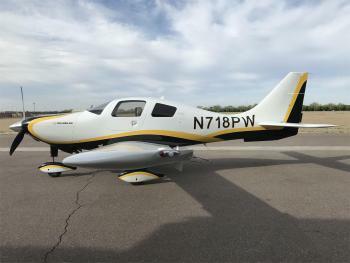 Airframe: 410 Total Time Since New Engines: 410 Since Continental factory brand new engine Props: 410 Prop since new......more.